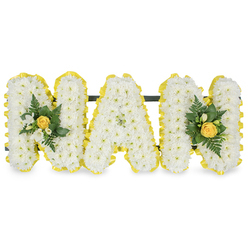 Personalised tributes of any choice of letters or numbers available upon request. Please call 020 3409 3030 for more details. 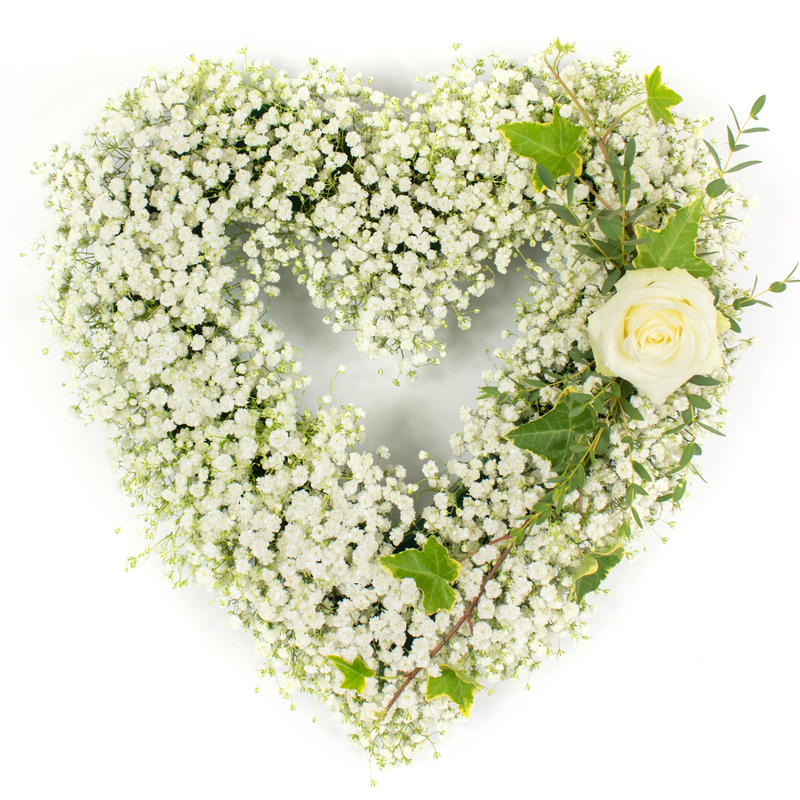 Whenever you want to show how much you care, trust our florists to create unique heart tributes which convey all of your loving feelings. 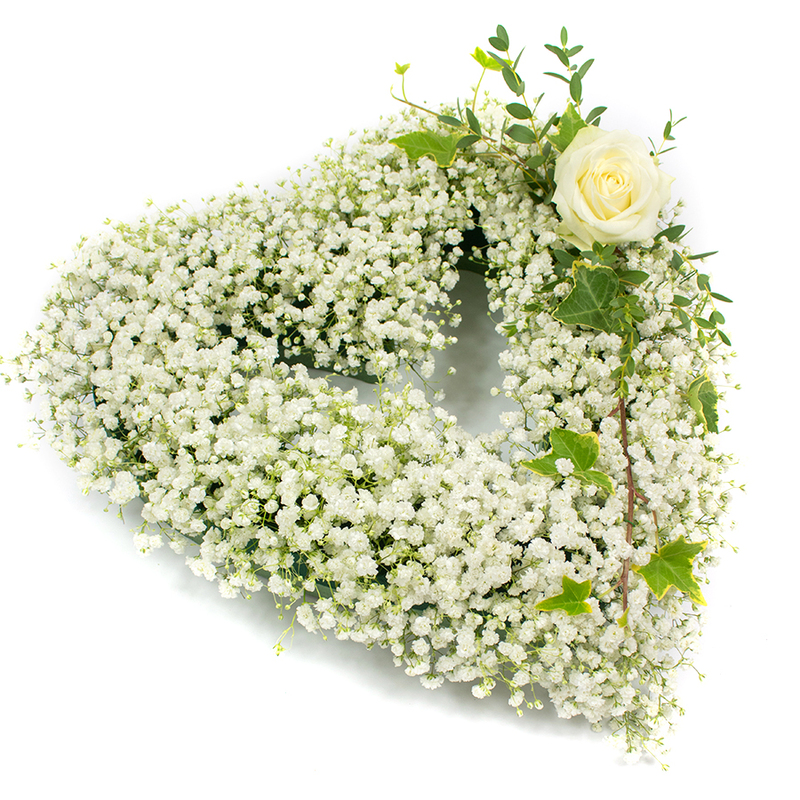 This elegant open-heart tribute is made from gypsopila flowers and accented with a lovely white rose to express purity, good thoughts and sincere love. 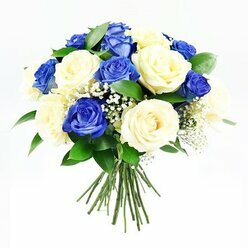 Roses are delivered with their guard petals which may be not as colourful as the inner ones. 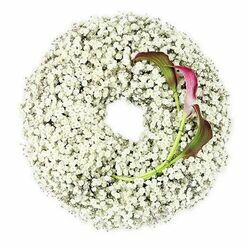 Our florists leave naturally grown outer petals to ensure inner petals will be protected during the shipping. 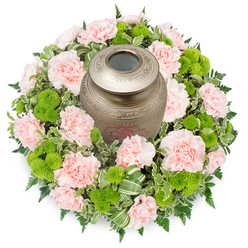 Once the roses are received, the guard petals can be unpeeled and the arrangement can be displayed. As flowers may be seasonal, we reserve the right to substitute any flowers not currently in stock. 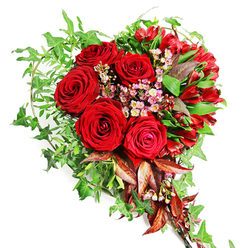 To ensure customer satisfaction, flowers will be substituted with a flower similar size and color of the same or superior style, quality and value. When my delivery arrived, I felt like the florist had me in mind when arranging the flowers. It was breath-taking. I kind of wish these were not funeral flowers. 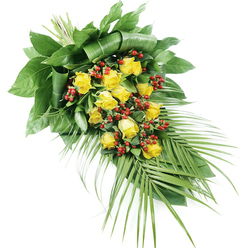 Professional florist in London. Delivered high quality flowers. Thanks to Handy Flowers my family had a lovely tribute to honour our dear friend who recently passed away. This company took the stress away and delivered wonderful flowers. I was kind of worried whether the tribute would arrive on time and chose the delivery before 9AM service. The flowers were delivered before 9 in the morning and looked beautiful. Highly recommend your services.